About Blue Wall – Blue Wall Technologies Ltd.
Blue Wall is fully committed to providing the best products and services suitable to the requirements of our clients. We are specialists in the installation and maintenance of leading edge parking control and security systems throughout Ireland. We employ experienced electricians and IT specialists located around Ireland, who service IP networked access control, parking systems, Intercom systems, and CCTV systems on a daily basis. Blue Wall Technologies are involved in projects from start to finish, and we take a leading role in design, project management, installation, and thereafter, preventative maintenance. 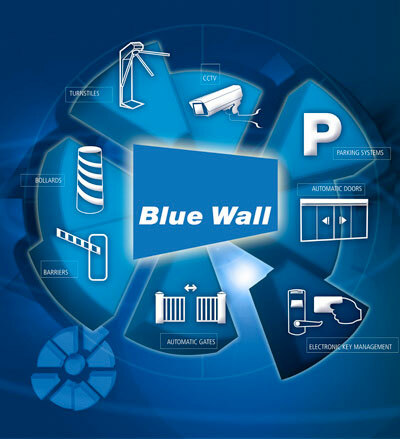 Regardless of whether the project is for a single security barrier, an automatic gate at a factory entrance, an access system controlling access to a large hospital, or a complete charge parking system, Blue Wall is fully committed to providing the best products and services suitable to the requirements of our clients.